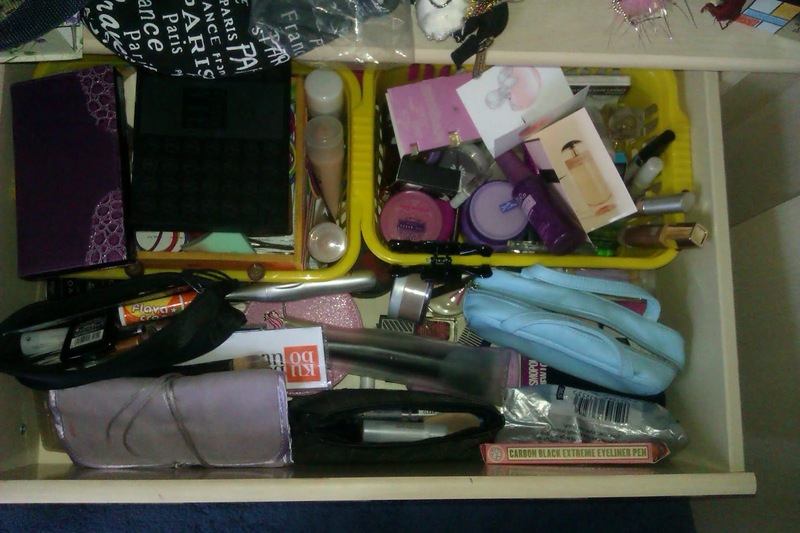 I thought I'd take a break from the nail varnish for a bit and give you a look inside my make up bag. These are my essential few items that I always take when I go somewhere. 1. Natural Collection Colour Foundation - To be honest, I've only been wearing foundation properly for the past year or so. I found that the Natural Collection foundation is a great one to start with - it's not heavy so you don't feel it on your skin. And at £1.99, it may seem like the quality could be rubbish but it's not, it's great value! 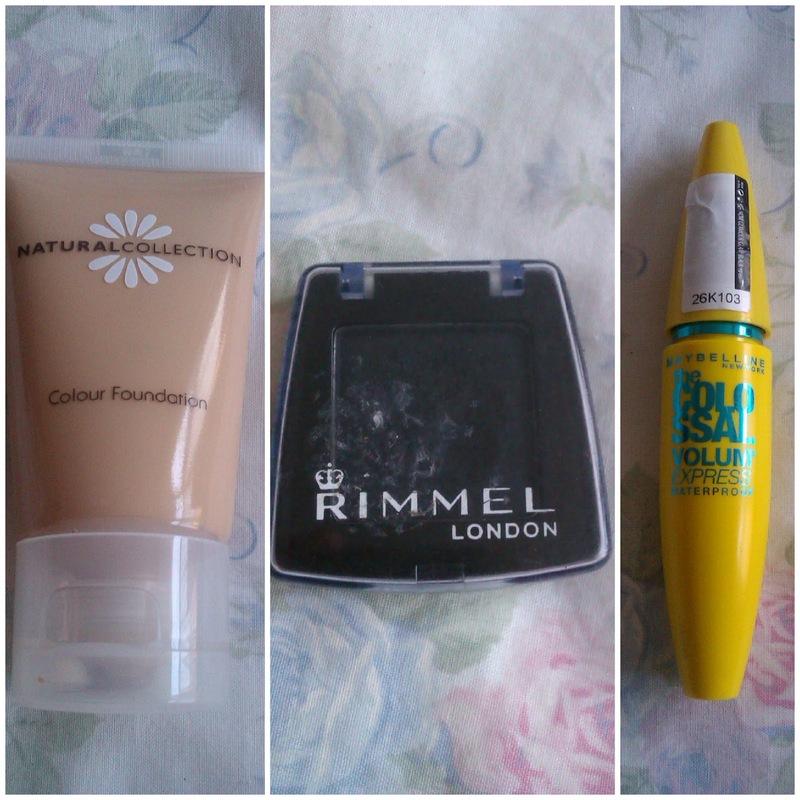 (I've also got the Tinted Moisturizer which great when you can't be bothered to slap on the foundation). 2. Maybelline Colossal Volume Express - Mascara is an absolute essential for me! I love this one cus it's great to create volume and it's waterproof. Simple as. 3. Rimmel black eye shadow - I use this at top/under-eye liner. Even though I have another topliner, I still keep this in my bag in case I want a softer outliner. Used with an angled brush you can create the perfect top/under-eye liner. 4. Natural Collection Cover up stick - This is great for covering those little blemishes you have. Even when your out and about, it's perfect to keep in your hand bag in case you need to touch up. Again, as it's Natural Collection, it's great as a first. But I've kinda just stick with it. 5. 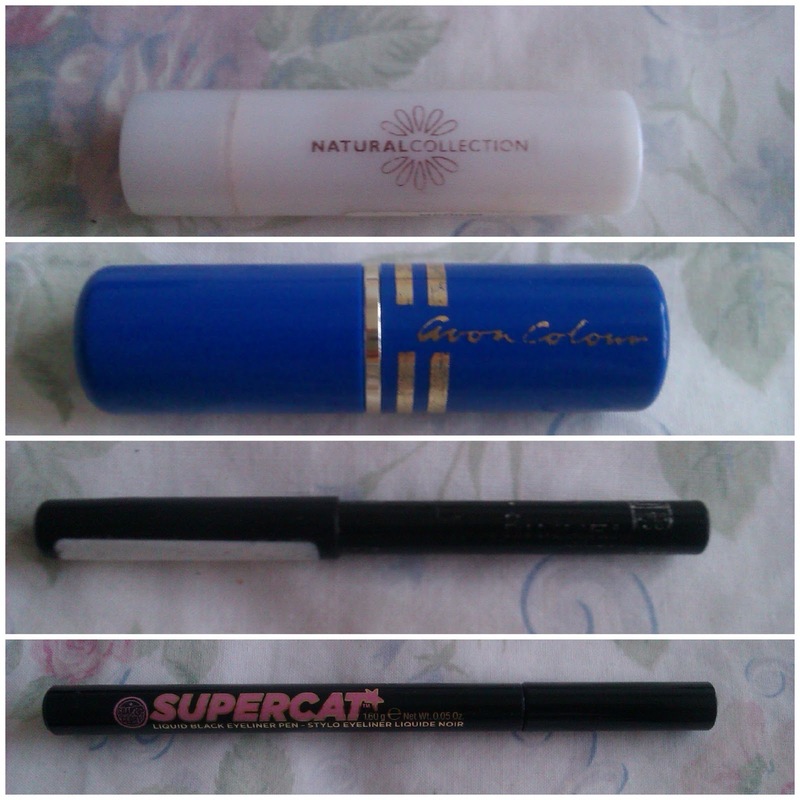 Soap & Glory Supercat Top-liner - I posted about this before and am still loving it. It's great, easy to apply and stays on. 6. Rimmel Eye liner - I've had this eye liner for a while and again eye liner is an essential. I always keep this with me. 7. Avon lipstick - I got given this by my auntie because she didn't want it (so I'm not sure if it's still available to buy). It's a cute pink shade and another item that is essential. I love my lipsticks and lipgloss' and this one is perfect - it's not too bright but bright enough - a barbie pink.